Scan and migrate SeaMonkey files in batch to Outlook. Auto search for the SeaMonkey file on the hard drive. Multiple views for previewing SeaMonkey mails in tabs. Filter SeaMonkey emails with advanced search feature. Is it possible to migrate complete data? What is the estimated time to migrate 10GB of data? Does Software migrate attachments also? Does the software maintain integrity of data during migration process? Is software automatically excludes duplicates emails? The migration of one email client to other is not an easy task, there might be need of an expert solution to perform the task efficiently with ease. One of such professional solution is Seamonkey to Outlook Migrator which have the numerous number of magnificent features to migrate complete SeaMonkey data to outlook while preserving metadata & maintaining integrity. The time take to migrate the 10 GB file is depend on the condition of Seamonkey Data. If the rate of corruption is high then it takes more time then its normal time (healthy state). It provides the flexibility to automatically excludes the duplicates items from the Seamonkey data. Is MS Outlook installation necessary for converting SeaMonkey emails to Outlook? No, MS Outlook is not necessary to be installed during the conversion of SeaMonkey emails. But after conversion, it is necessary to install Outlook for accessing Outlook file. How many collections of SeaMonkey emails can be created in the software? There is no limitation on the number of SeaMonkey email collections that can be made in the software. Unlimited collection scan be made without any restriction. "I opted for SeaMonkey to Outlook Migration Tool from much other software and I am glad I did so. 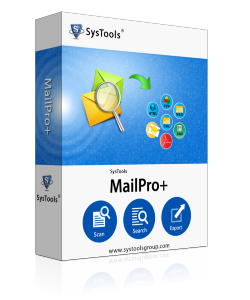 The software converted all the SeaMonkey emails to Outlook format and that too without posing any data loss issues. It is the most commendable tool that I've come across. Seamonkey is easy to use email client platform with plenty of enhanced features to increase the efficiency but it lacks some basic features such as Notes, Tasks, Journals etc. While on the other hand Outlook is the personal information manager. It provides all the key-gen features to be organizational level email client. The Manual method for migration of SeaMonkey to outlook is not an easy task. Therefore You will need a professional solution to complete the task, Seamonkey to Outlook Migrator is one of such tool.